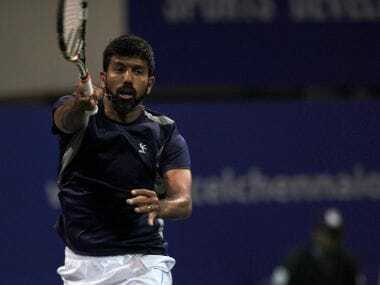 India's Rohan Bopanna, playing with his fourth different partner of the season, joined forces with Marcin Matkowski to reach the doubles semi-finals of the Dubai Tennis Championships. 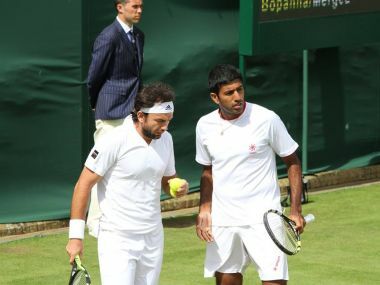 India's doubles tennis specialist Rohan Bopanna on Tuesday said he is keen to put behind last year's reverses and focus on achieving big things in 2017. Sania stormed into the women’s doubles quarter-finals of the Wimbledon while Bopanna was knocked out in the men’s doubles third round at London on Monday. Sania Mirza and Martina Hingis breezed into the women's third round with a 6-3, 6-1 win over the pairing of Eri Hozumi and Miyu Kato at the Wimbledon. 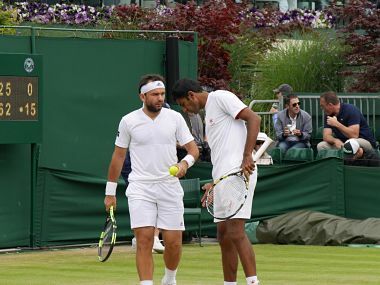 There will not be Rohan Bopanna and Leander Paes face off in the men's doubles event of the Wimbledon championships as Paes and Marcin Matkowski suffered a meek second round defeat at the hands of John Peers and Henri Kontinen, in London on Sunday. 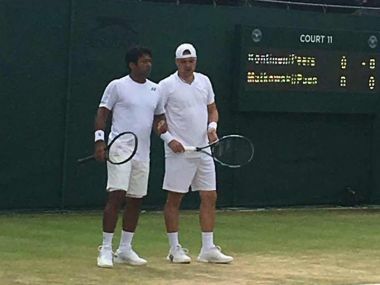 India's Rohan Bopanna and Florin Mergea were tested by Marin Draganja and Nikola Mektic before advancing to the second round of the Wimbledon. 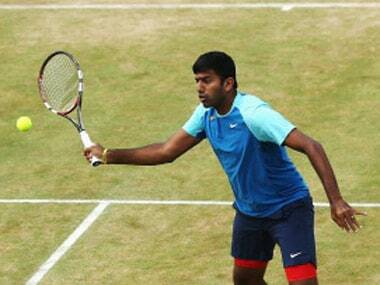 Rohan Bopanna opened his grass court season alongside new partner Nicolas Mahut with a win over Robin Hasse and Guillermo Garcia-Lopez in the Ricoh Open. 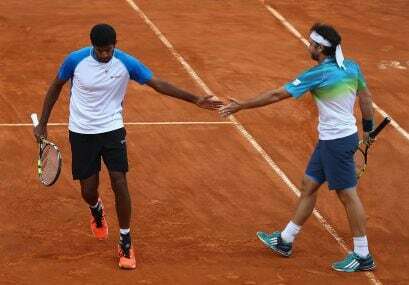 India's tennis star Rohan Bopanna and his men's doubles partner Florin Mergea were knocked out in the quarters-finals of the French Open on Wednesday. Indian tennis ace Sania Mirza made a shock exit from the women's doubles competition while compatriots Leander Paes and Rohan Bopanna entered the men's doubles quarterfinals along with their respective partners in the French Open in Paris on Sunday.